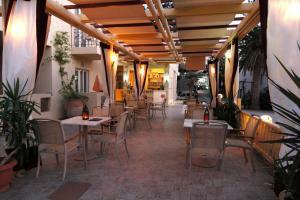 Lovely area, close to beach and nightlife. Safe area and friendly locals. Excellent transportation. Lambrinos lived up to all our expectations. Penople and Maria are personal and in concern of all that you need. 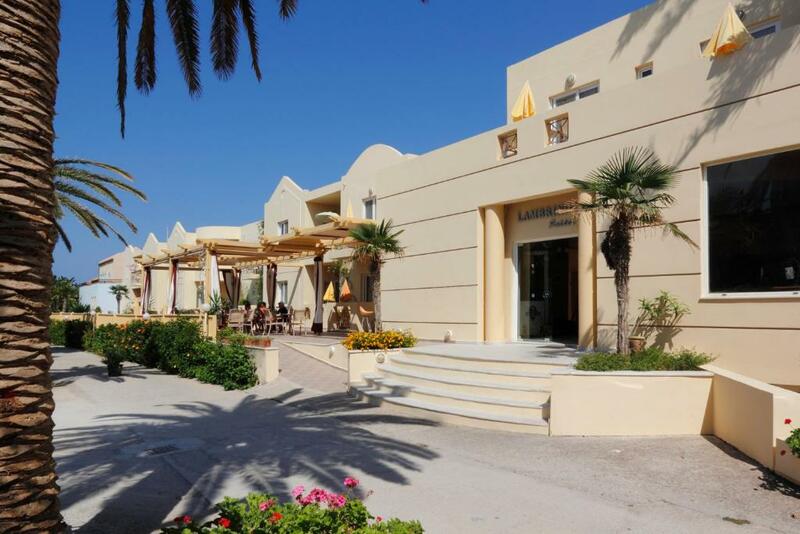 The area and the access to both beach, shops, restaurants and in the coast area activities that you may want to explore makes Lambrinos to a perfect choice of accommodation. We are definently coming back! Thank you! The owners and staff were very friendly, the suite was large and cozy. Personel very friendly, helpful. Well situated in the Platania. Owner doubled booked us on arrival!!! We should have had one bed, but got a very small studio and a broken child camp bed for the 3rd adult. Not happy! Owner not helpful. Moved to correct apartment next day which was lovely and the cleaners are very lovely and helpful. Staff are super friendly and it is good value for money. Easy cab ride to Chania. Restaurants and shops are literally within a minute's walk. Very nice room. Lots of space. Air-condition. Lady in reception. Perfect! The staff and the lovely lady Ekaterina were so nice and helpful. Excellent property near beach and restaurants and bars. Very clean rooms and large too, bathroom is excellent and large. Will be back again. 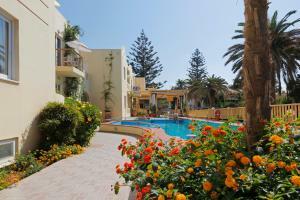 Lock in a great price for Lambrinos Suites – rated 8.8 by recent guests! 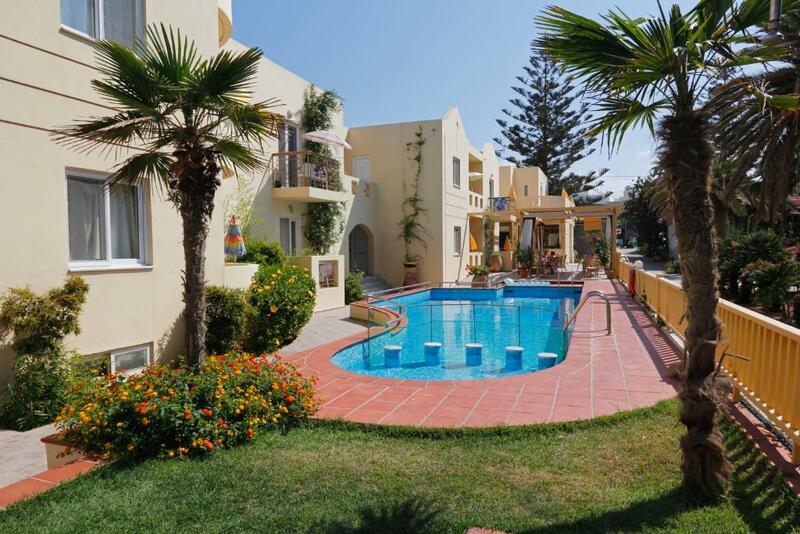 Lambrinos Suites This rating is a reflection of how the property compares to the industry standard when it comes to price, facilities and services available. It's based on a self-evaluation by the property. Use this rating to help choose your stay! Just 150 feet from Platanias Beach in Chania District, the Lambrinos Apartments is set amid a well-tended garden with an outdoor pool and a snack bar. It offers air-conditioned accommodations and free Wi-Fi in public areas. 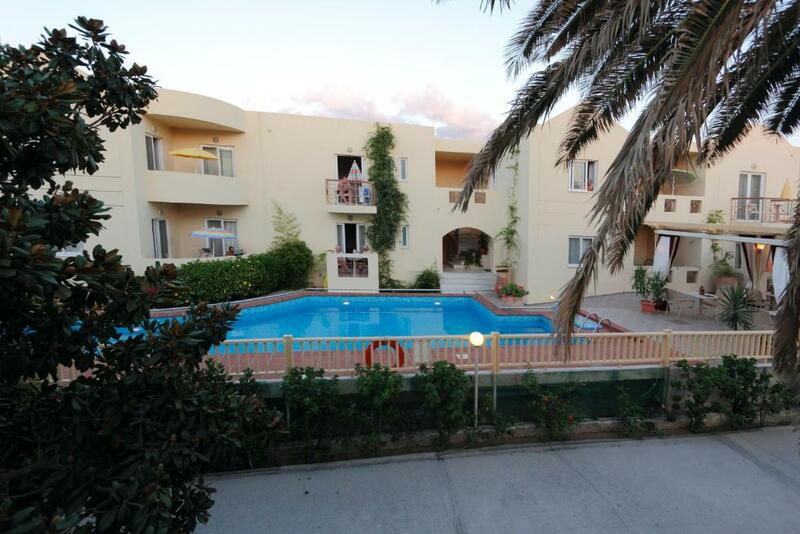 Fitted with iron beds and tiled floors, all units open out to a balcony with pool and garden views. Each includes a TV and fridge. Some accommodations types are self-catered with cooking hobs, a coffee maker and dining table. 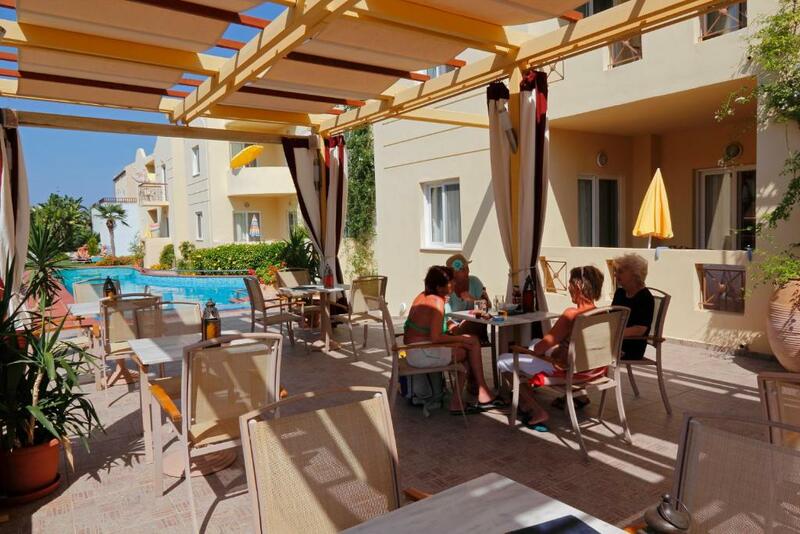 Refreshing drinks and snacks are served at the bar, next to the pool. 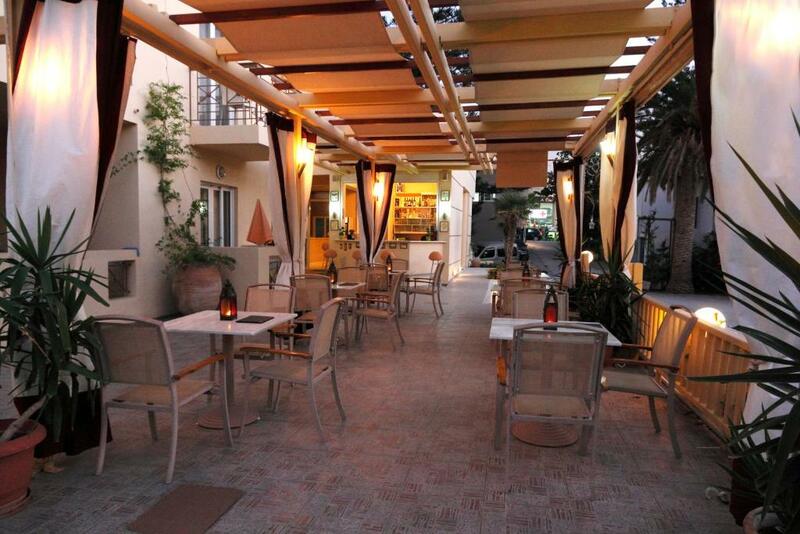 The central location of Lambrinos Apartments offers easy access to taverns, bars and mini markets. Staff can arrange car rental to visit the scenic town of Chania with its Venetian Harbor at 6.2 mi. Souda Port is at 12 mi and I. Daskalogiannis International Airport is around a 45-minute drive away. When would you like to stay at Lambrinos Suites? Featuring a kitchenette with a mini fridge, stove and dining table, this air-conditioned studio is just 50 yards from the beach. Includes iron beds and opens to a balcony with pool and garden views. Featuring a kitchenette with a mini fridge, stove and dining table, this one-bedroom apartment is just 50 yards from the beach. Along with iron beds, it opens to a balcony with pool and garden views. Air conditioning and a TV are included. Located below ground level, this studio features a patio, tiled / marble floor and air conditioning. Elegant studio with kitchenette and coffee machine. This apartment features a tile/marble floor, air conditioning and kitchenette. House Rules Lambrinos Suites takes special requests – add in the next step! Lambrinos Suites accepts these cards and reserves the right to temporarily hold an amount prior to arrival. The beds are really stiff. So if you are in need of soft beds this is not a choice for you. Owner doubled booked us on arrival!!! We should have had one bed, but got a very small studio and a broken child camp bed for the 3rd adult, who had to sleep on the floor in the end. Not happy! Owner not helpful, quite rude. (cleaners very lovely and helpful!). Not good when we actually paid 6 months in advance as well to secure booking. The air conditioning didn't work.